Frizzy hair does not discriminate. Whether it's winter or summer, humid as hell or painfully dry, it affects everyone — no matter what type of hair you happen to have. Gaining control over those pesky flyaways and unwanted horizontal volume takes some practice, patience, and yes, some kickass products. But do you need to spend oodles on said products? According to the three celebrity hairstylists we spoke to, the answer is a resounding, "Nah." 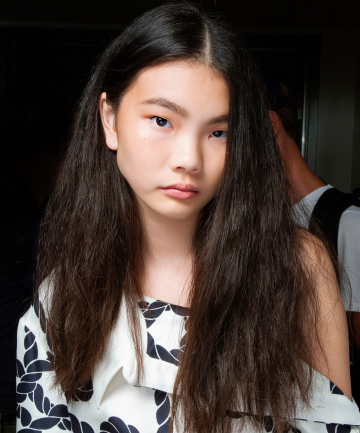 Here are some of their favorite frizz-fighting hair products... and not a single one will give you sticker shock.